After a few months of finding out I was pregnant, I knew that I wanted to go away for a small break with the partner and girls and I also wanted a break just me and my partner. Our break away with the girls was a night in Llanelli and Cardiff down South Wales. 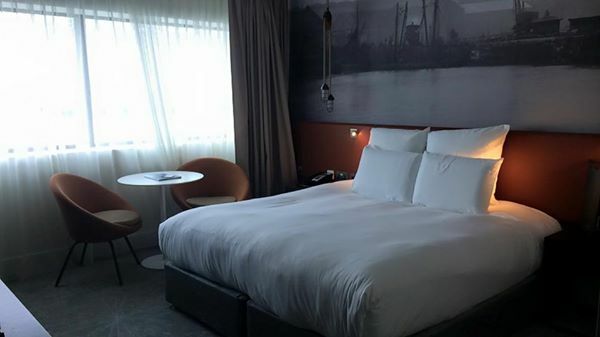 Not long after coming back home from our family break I decided to book a night away down in Liverpool for me and my partner. I searched and searched online for a decent hotel. I then came across a hotel called Pullman. 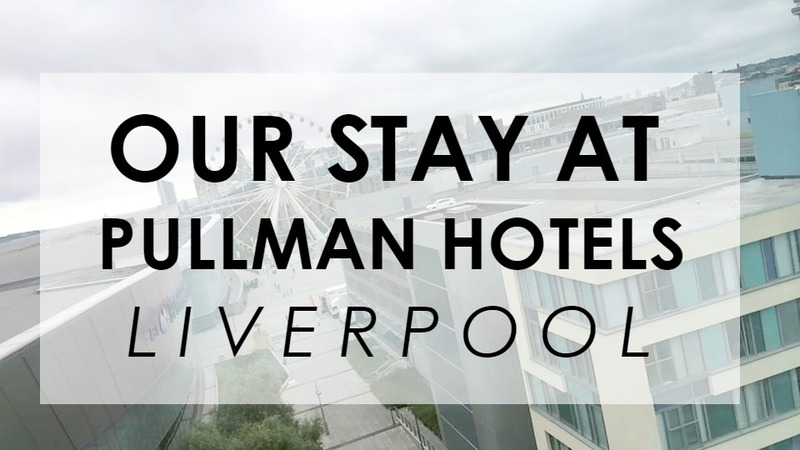 Pullman is a 4 star hotel on King's Dock next to the Echo Arena and a 10 minute walk to Liverpool One. 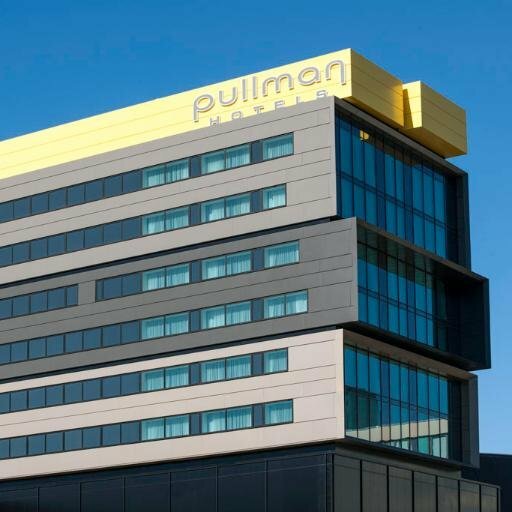 Pullman have many hotels and resorts in different countires such as the UK, USA, Thailand, New Zealand, Spain and much more. 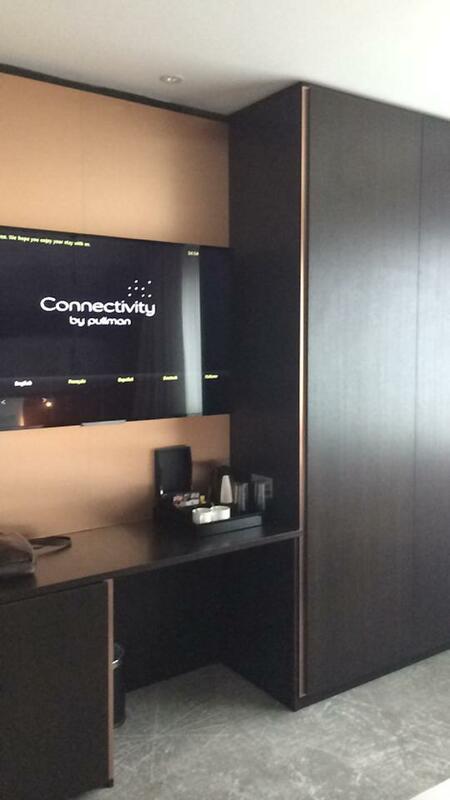 Pullman is a perfect hotel for just a break, business or/and meetings. At Pullman hotel in Liverpool, it is right next to the award winning Albert Dock. There is a lovely walk on the dock front with stunning views. When we arrived at the hotel we were greeted straight away at the door and were seated down to wait for someone to check us in. In less than 5 minutes we were greeted by another man who sat down with us and checked us in. He explained everything to us and tried to find a room high up with a good view. We were booked on the 7th floor and the view was pretty amazing. When we arrived in our room I was extremely pleased with the how lovely the room was. The bathroom was very modern with a walk in shower. There was a huge king size bed, table and chairs and stunning TV next to a wardrobe. The only thing that we found pretty annoying was the flashing and faulty light in the bathroom but we were told at check out that if we would of told them then they could of got someone up to fix it for us, but we didn't think! It didn't ruin our stay though. We decided to have food in the hotel's restaurant. We were given a menu and I did find the prices very steep but we still decided to go there. I totally forgot to take photos of our meals but we both ordered a sirloin steak which came with one portion of chips, homemade dried tomato, mushroom and some salad. The whole meal was delicious. We both also said it was the nicest steak we had tasted. We then had a pudding which was absolutely delicious. Overall, I was extremely pleased with the service from when we entered the hotel, at the restaurant and when we left. I couldn't of asked for better service. They all very friendly and very smart looking too. We both really enjoyed our stay at Pullman hotel. How many rooms: 216 rooms, 8 floors. * Me and my partner paid for this hotel our of our own money. I decided to write a review for the hotel because I really enjoyed my stay and really recommend the hotel if you ever visit Liverpool. Hi Beth, it sounds like a nice hotel to stay at if you are looking to go out and explore. It's silly how we think of things after the event, I would have been like you and would have mentioned the light on the way out too! Glad you enjoyed some time to yourselves. WoW! that hotel is beautiful! I hope they see this wonderful review! This definitely looks like a nice place to stay. I love the modern look and it's nice to hear that the service was so good. It's really important to get away now and again I think, and this hotel sounds like a great place to stay to explore the area! Very nice! 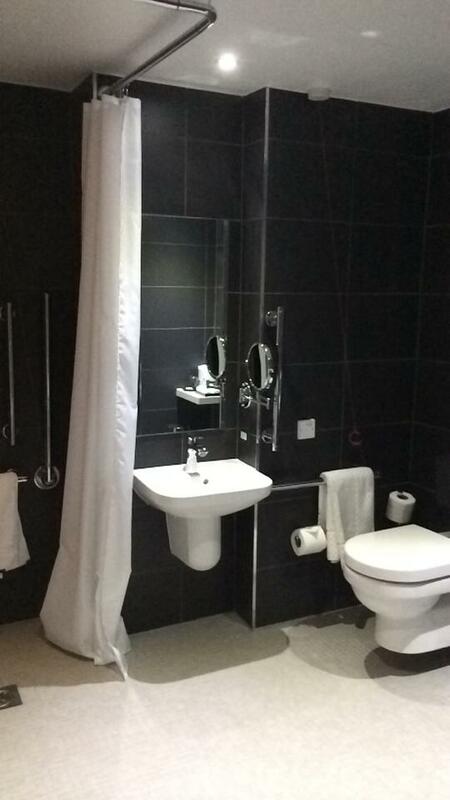 I love the bathroom, it is one of the first things I check in, if I don't like it, I always go and ask to move oops! The hotel looks great. I love the bathroom. Nice looking room and a large bathroom which I really like. I love the look of the bathroom, will keep this in mind if I visit Liverpool! We used to love staying in Liverpool for a quick break. We only live 30 mins away but it is still a special enough place to make a mini break worthwhile.I'm not familiar with Pullman hotels but will definitely bear in mind for our next break. Ooh it does sound really great! Thanks for sharing. We got to liverpool some times so I'll keep it on the radar! Never been to Liverpool but it's one of the cities on my list. I would definitely have complained about that light though. Surely they knew about it when they made up the room for you. Glad it didn't ruin your stay. I love hotel reviews gives you a perspective of where to stay when you go away. This sound like a good hotel and is nice to get away from things sometimes. I went to Liverpool last year for two nights, we ended up staying in a premier inn because we didn't do that much research into hotels but I'd love to go back. I love how everything in Liverpool is within walking distance! Great review the room looks lovely and also very clean . My team at my internship did the social media marketing for Pullman! Looks like you had a great stay, will bear this in mind for trips to Liverpool! It looks very comfortable. I think this is the best place for a family vacation. You can stay in the hotel and visit the exciting music events in the area.